Nine out of 10 start-ups fail. One cause is that founders are misunderstood when describing their companies and trends affecting their businesses. Bad “messages” mean prospective clients, investors and employees won’t bite. Therefore, the key to a start-up’s success is crafting a story in a way that is clear and interesting. My theory, which I share with my start-up clients, is if your story is interesting to a reporter, it will be of interest to anyone. Why? Reporters are a hard sell. Furthermore, media coverage provides many benefits. It boosts trust and awareness, improves your search rankings, and differentiates from competitors. Here are 17 tips on how to gain a journalist’s attention and story space. 1) INCLUDE AN ELEMENT OF SURPRISE IN YOUR STORY. If there is no ah-ha moment, don’t expect it to get much attention. Example: I shared a story with business reporters about a venture capital arm of a company that doesn’t actually invest money in start-ups. Reporters constantly responded, “A VC that doesn’t invest? Tell me more!” It was short, surprising and resulted in a lot of get-to-know interviews and several quality feature stories including Associated Press, C/Net and The Wall Street Journal. 2) DO A HALF HOUR OF HOMEWORK BEFORE REACHING OUT. Yes, that means it is not as simple as querying a media database service like Gorkana or Cision for a list of 100 journalists and then picking up the phone to call the first one a minute later. Example: Every time I query one of those databases for a media list, typically 30% of the reporter information is out of date. The most typical change these days tends to be a reporter leaving journalism to go into content marketing or public relations which pays more. I worked with Mike Cassidy formerly of the San Jose Mercury News on a large feature that included a nice photo of my European client who was in town for a while. I went back to pitch him something else a few short weeks later and he had left journalism, after 2o+ years. 3) KNOW THAT REPORTERS SWITCH JOBS. A LOT. One of the best ways to check if the reporter is still on the beat is to check Twitter. It seems to be the first thing they update. Example: I wrote a pitch note tailored for one person: the widely read Chrissy Farr. I had worked with her on a story not long before, however, right before I hit “send” I checked her Twitter to make sure she hadn’t switched jobs. Sure enough, she had! And just the day prior! I was so glad I checked. Had I not, the pitch efforts would have gone to waste. Sure enough, she just switched again according to Twitter. She’s with Fast Company now. 4) LET AN EMAIL PITCH SIT FOR A DAY BEFORE YOU USE IT. Example: The last four times I pitched Venturebeat, they filed a story within two hours of my email. One story was about a huge global telecom that was opening a Silicon Valley office to partner with local start-ups. Had there been a mistake in the pitch, it would have gone right into the story. They work fast! That’s not to say Venturebeat won’t agree to an embargo of the news. Full disclosure: there was a tiny error in the story but a. it wasn’t from my pitch and b. Venturebeat corrected it really fast. An embargo is when a skilled PR pro asks a trusted writer to hold a story until an agreed upon date. It is tricky business and not for beginners. 5) FOLLOW A PHONE SCRIPT SO YOU STAY PUNCHY. But feel free to stray from it if needed. Most reporters hate phone calls but sometimes they are necessary. If you have a white hot story, reporters at big websites or media outlets get upset when you don’t call them. Example: While at a PR agency, I was pitching a story about a chocolate company’s business success a few weeks before Valentine’s Day. Because I had written a script with the two most unique facts about my story idea, I “nailed” the story every time. I placed stories in Businessweek, Wall Street Journal, and other quality outlets. 6) MAINTAIN A POSITIVE ATTITUDE WITH RUDE REPORTERS. Realize they are overworked, over pitched and way underpaid. Writers get paid a third as much as PR people. Don’t let their bad attitudes hurt your feelings. Things will likely go better next time. Example: A local technology business writer asked to talk to a sales executive at my company about a competitors’ new product versus ours. The writer asked the executive to compare the product prices. Prior to the meeting, I advised the executive to not discuss the competitors’ product’s pricing. I said, “Let them talk about that.” The reporter flew off the handle when we wouldn’t quote competitive pricing, saying the spokesperson didn’t have a clue. She later apologized. We were quoted in the story and future correspondence went fine. I’m Facebook friends with the writer who is highly respected; she has been nice since then. 7) LISTEN CAREFULLY TO REPORTERS’ FEEDBACK. When a reporter does answer you or you get them on the phone and they reject your idea, learn what stories they like or dislike so you can pitch them something more appropriate next time. Example: A USA Today writer recently told me she hears too many survey pitches from PR folks. If you pitch her one, she added, it had better have shocking findings. This was good to know. I passed it onto my start-up client. I like working with USA Today reporters because they are smart and good fact-checkers but they are never rude. Once in a while I place a story with them. They are definitely in the “over pitched” category. 8) SOMETIMES A SOFT SELL WORKS BEST. 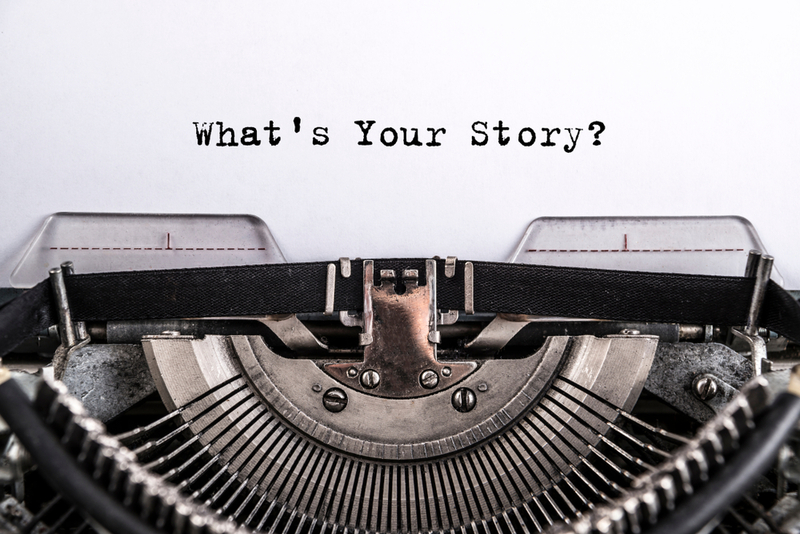 If you know your company has a complicated B2B service or product and the CEO is not an interesting spokesperson, sometimes asking a reporter to have coffee to find out what stories they are interested in is the best approach. 9) DON’T ASSUME THE REPORTER KNOWS THE SUBJECT. Carry background information or have a way to look it up fast. Example: Once a reporter said something incorrect and negative about my company during an interview. It appeared to be made up by the competition. I was not worried because I knew that the meeting meant the opportunity to set the record straight. I had the correct information and its source at my fingertips. The story came out correct. 10) RELAX, EVEN IF YOU DON’T HAVE EVERY ANSWER HANDY. If you do not have the answer, just say so, or offer to get back to them later. Example: While doing a PR campaign about a world record technology research breakthrough, I once got back to the reporter after an interview with my vice president of technology and simply said, “I can’t divulge that information for competitive reasons.” He was fine with that. The story by John Markoff in The New York Times was high quality and fact-filled anyway. By the way, he’s one of the top 30 “most read by other U.S. tech reporters” according to a recent LinkedIn Pulse story. Example: When I worked for a $100 billion corporation, I was constantly pummeled with questions about rumored acquisitions. One San Francisco Chronicle writer — who has switched jobs three times since then — once joked, “Michelle, you never say, ‘no comment.’ Makes sense because that would be like a ‘Yes’ which would be the answer.” That company acquired at least 50 other companies while I was in PR there. 12) KNOW AT LEAST SOME MEDIA LAW. One example is if you are being interviewed by phone, the reporter is required by law to tell you when you are being recorded. If you’re not certain, you should ask. Example: The vast majority of feature story interviews I’m involved with are recorded. I have often just told the interviewee expect it to be recorded. I position it as a good thing. It means they would be more likely getting quotes correct. Once in a great while an interviewee has a problem with it. It’s usually the newbies who are nervous they might say something wrong. 13) KEEP IT JARGON-FREE. Explain jargon if you must use it. Example: I was on the East Coast at a Computer Reseller News office for an interview with the new storage beat reporter. The executive with me kept calling hard drives, “HDDs.” After 15 minutes the reporter says, “What’s an HTT?” She had no clue. So he carefully started over and said the whole name, “hard disk drive.” We had wasted those first few minutes because of a confusing acronym. They last reporter did know, “HDD” but she was new. 14) KEEP RECORDED MATERIAL SOUND BYTES BRIEF. Video or radio stories may use only a half-minute cut. The shorter your comments, the less likely they are to be edited. Reporters love snappy quotes. Examples: Out of the 100+ “broadcast” interviews I have set up and helped with the vast majority have resulted in valuable brand exposure for my employer or client. Most did well after my advice to think of a few short sound-bytes ahead of time. My favorite interview happened when I escorted the inventor of “CTRL ALT DELETE” through the airport on the way to an event. It was the anniversary of this concept. Sure enough a camera crew from NBC showed up and asked him what it was like to see that CTRL ALT DELETE had become so popular. He answered, “I may have invented CTRL ALT DELETE but Microsoft made it famous!” Of course that was the line that made the evening and morning news casts. 15) DON’T ANNOY THE REPORTER DURING FACT CHECKS. Example: I pitched and then helped a local newspaper reporter with a story about a community service project on that involved interviews with five people. I had arranged all of them. I mostly cared about only the one interview but a story of that proportion needed various points of view. I emailed the writer a couple of times a day for a few days but she became dead quiet. I think that was overkill. However, I was pleased to open the newspaper to see a frame-worthy story that was fully fact checked. 16) UNLESS THE STORY WAS SET UP AS “BACKGROUND” IT’S OKAY TO POLITELY ASK WHEN IT WILL RUN. If the reporter agreed to talk on background, then that means it’s not for a story. So asking when the story would run would bug the writer. However background interviews sometimes turn into stories later. You typically find out it is a story when they start fact checking. Example: My start-up client and I were helping a Business Insider reporter collect information about his unique background. He was born with a heart defect and survived several open heart surgeries before starting his social fitness app business in college. She never said it was a story until the last couple of fact checks. When she set up the interview, she said she just wanted to learn more. Once the fact checks started, I asked when it would run and she answered, “This afternoon.”It ran and received tens of thousands of views. 17) DON’T BE OFFENDED WHEN A REPORTER WON’T GIVE YOU STATUS. Sometimes they are concerned about a competitor scooping them so they can’t let anyone know their story plans. Example: I pitched, set up an interview with and helped fact check a story with a popular Silicon Valley-based Fortune magazine reporter who interviewed my company’s CIO. She wouldn’t give me the publish date, headline or confirm that a story would run. But all of her fact checks gave me all of the clues about what was happening. The story was well done. To summarize, to garner a reporter’s attention, you need to have a thick skin, be patient and excel at storytelling and sales. You also need to do your homework, for example, on Twitter before reaching out. Once you’ve mastered the press pitch you will start seeing more success in communicating and selling to your other audiences. Lastly, feel free to reach out to your local Public Relations Society of America (PRSA) or International Association of Business Communicators (IABC) affiliates to find a publicist or story teller to help.